Let the pumpkin madness continue! Are you stuffing your face with ooey-gooey pumpkin goodness yet? 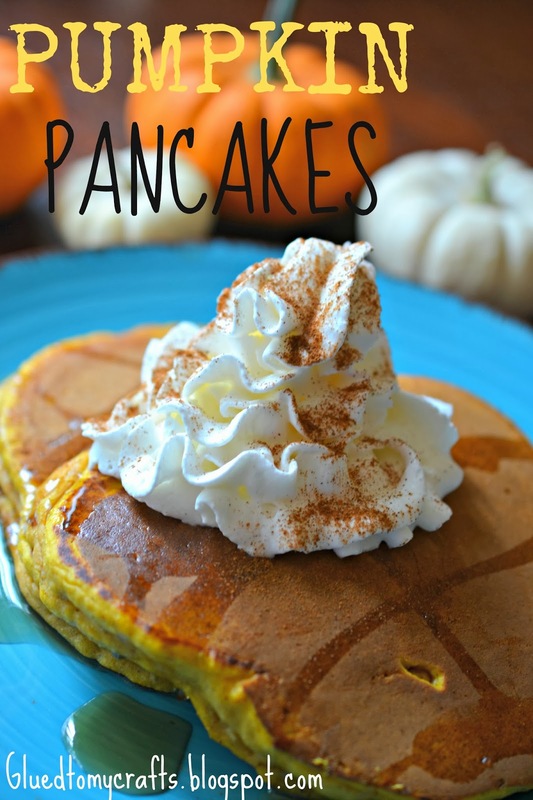 Well then I suggest you start with this easy pumpkin pancake recipe. In fact, with me posting this on a Monday – you have plenty time to grab the required ingredients and get ready for breakfast this coming Saturday morning. I shared another similar pumpkin pancake recipe on the blog last year, but “I think” this recipe turned out way better. Therefore I’m sharing it today and you will thank me later. You can load up your finished pumpkin pancakes with some syrup, whipped cream and a dash of cinnamon to really top it off. Some might even consider this dessert – rather than breakfast 😉 I even made a few extra pancakes to freeze because it was a big hit for Lil Man & I. He polished off his plate before I did and asked for more. I think this recipe will be used WAY past fall this year. I got no complaints though! 2. Then in a small bowl, stir together your milk, pumpkin, eggs and oil. Add pumpkin mixture to flour mixture. Stir until well combined and moist. 3. In a lightly greased griddle or skillet – pour about 1/4 cup of the batter in. Cook over medium heat for 1-2 minutes on each side or until pancakes are golden brown. Repeat for remainder of batter. 4. Serve warm with syrup. Freeze remainder.